Square not only provides an easy to use app for processing credit cards on your mobile phone or tablet, they now have the Square Card Reader hardware to back it up. The Square Card Reader is a credit card reader that works together with Square register's software to process payments. It's compatible with both Mac iOS and Google's Android operating systems. The Square Register and card reader is an excellent solution for the individual that sell their goods on the go at trade shows, expos, markets, etc. To start using the card reader simply plug it into your 3.5mm headphone jack. 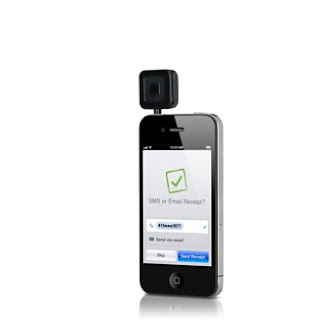 This type of innovation has caused Square to lead the way in mobile payment solutions for anyone's needs. Square now offers a credit card reader free when you sign up to their mobile register service.